Let's go get fresh air and explore the nearby surroundings ... | Thermana d.d. Blooming and green hotel park, just a few meters away from the Zdravilišče Laško hotel, is just right for casual walks. You can strengthen your well-being and energy level at regulated energy points. Do you want to conquer the nearby peaks, to which lead managed and well-arranged, not too demanding routes? We recommend a visit to Hum – Laško's "Triglav«, which rises above Laško to a height of 584 m. Šmohor, is a good two-hour moderate walk away - a popular excursion point, where there is also a cottage where they offer homemade delicacies. Appropriate for families with smaller children is a Three churches trail, where the path leads you from the villages Krištof (a church with the oldest organs in Slovenia), through Kuretno to Šmihel, where one of the most beautiful churches in Slovenia is located. The unspoiled, diverse landscape surrounding Laško provides the ideal starting point for trips and leisure time activities in nature. You can go on a journey with a bicycle, on well-managed trails past the rich natural, cultural, historical and ethnological heritage. 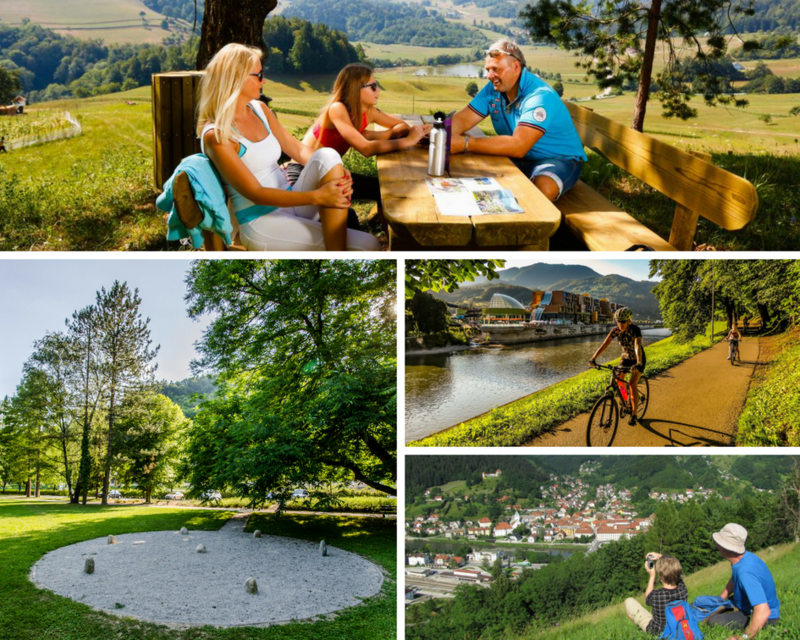 We recommend a cycling excursion on a 25 km distant Celjska koča, where you can try a bob cart ride in the summer time or visit their forest adrenaline park. Among cyclists, a trail to Šmohor is very popular. Experienced cyclists who want new cycling achievements are invited to test the »Laški krog« (Laško circle) - a 94 km long route, which is characterized by ascents to all nearby peaks in Laško. The path has 2650 meters of ascents. This summer we also opening a bicycle connection with well-arranged cycling routes between Laško and Celje. For more cycling tips go to www.lasko.info. Fishing lovers can check their fishing capabilities along the Savinja river, on the Marof pond, where you can host a real picnic, or in the idyllic surroundings of the Gračnica stream. What do we recommend for families? 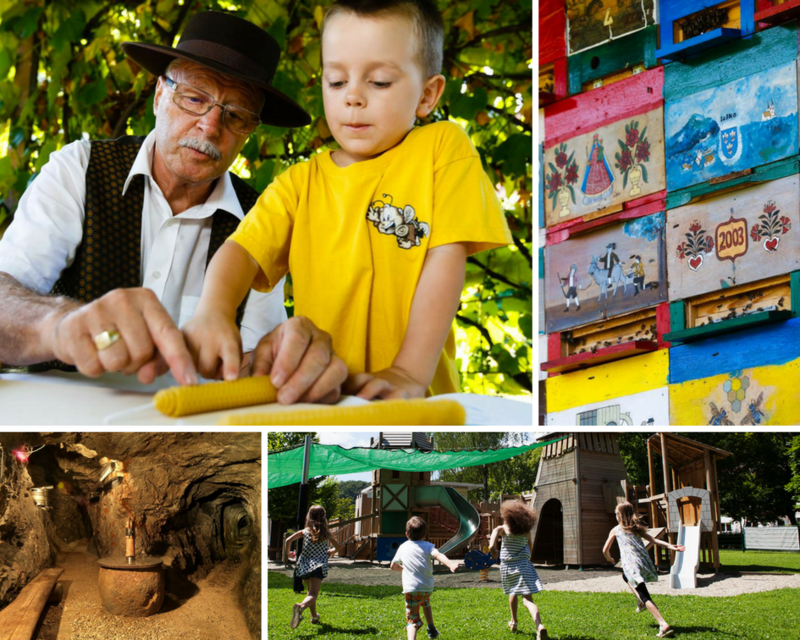 The destination of Laško is family friendly. You can discover numerous hiking and walking trails in the surroundings of Thermana Laško hotels, suitable for the smallest family members. The sightseeing and tourist farms offer you the opportunity to learn about organic farming, domestic animals, you can go horseback riding or meet the abandoned mine tunnel, where Perkmandeljc still lives. To the so called «dormouse’s cave« leads a short, but instructive forest path that is full of mystery of nature and various hints of the infamous dwarf Perkmandeljc! Visit the ecological castle playgrounds in the nearby “Zdraviliški” Park and check your knowledge of the herbs in the garden of honey plants. You can meet the bee world "live" with some of the local beekeepers who also open the doors of their hives to visitors. You have the power to change the path of history and make love story happen for the first time ... Your first challenge in VR is to escape from prison. Do you dare to become Friderik in first person? Conference package of services from € 19 onwards.